Imagine being on your deathbed, so gravely ill that you have only weeks left to live. You know that there is something out there that could help ease your pain and perhaps even miraculously end your suffering and add years to your life, or it could kill you instantly! This something, this experimental treatment is not approved by the Food and Drug Administration (FDA) which means that you will never get to try it. Are people suffering and dying needlessly because they don’t have access to experimental treatments not yet fully approved by the FDA? Or does allowing people to have access to these experimental drugs undermine the protective mandate of the FDA? President Donald Trump along with Vice President Mike Pence said enough is enough and in May 2018 signed the Right to Try Act that allows gravely ill patients access to experimental medications. This controversial bill gives patients the right to ask drug makers for drugs that may have passed phase 1 of FDA testing but have not yet been fully approved by the FDA. This bill allows the very sick direct access to the drug companies without having to ask the FDA for permission. Keep in mind that these drugs that have passed phase 1 testing have usually only been tested on 30 patients and are used to screen out drugs with toxicities. According to the bill, for patients to have access to experimental drugs they must have exhausted all other options and have been turned down for the clinical trial. Although drug makers are not required to give access to the drugs, supporters of the bill say it is meant to provide hope when all else has failed. Physicians who prescribe right-to-try dugs, the pharmacists dispensing the drugs and the drug companies are protected from any liability. Some say this goes way too far. Critics aren’t so sure about all this and state that the legislation undermines the FDA’s authority to regulate which is meant to protect. According to Commissioner Scott Gottlieb, the FDA already has an “expanded access” program where patients who are gravely ill can apply to gain access to experimental treatments. This program grants access to 99% of applicants to use drugs outside of clinical trials. However, according to Gottlieb, the FDA is ready and willing to participate in the new legislation set forth. Those states marked with a “c” allow CBD oil use for specific medical conditions. Those states with an asterisk have some marijuana decriminalization in place meaning that if you get caught with marijuana, you are more likely to face a fine rather than jail time. States like Nebraska, South Dakota, Kansas, and Idaho are still clinging to the federal government’s classification of marijuana as a schedule 1 drug with no medicinal value and extremely dangerous under the Controlled Substances Act. Other states like Utah are bolder and have passed a Right to Try legislation specifically for medical marijuana. Unless you just crawled out from under a rock, it is likely that you have heard the buzz or even known someone or experienced the value of medicinal marijuana yourself. Even the National Institute on Drug Abuse lists medical uses for cannabis. 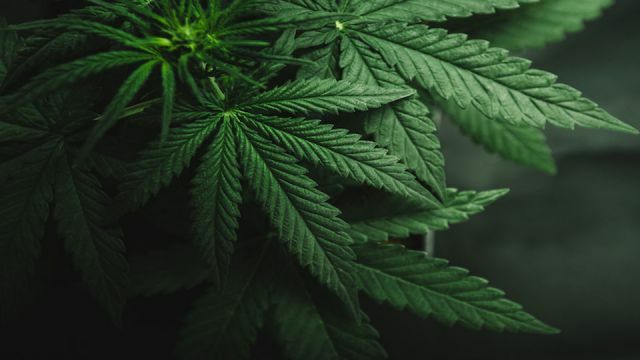 A massively comprehensive new report by the National Academies of Sciences, Medicine, and Engineering (NASME) shed light on what we know about marijuana. Read a summary here. What do you think, is the Right to Try Law meant to weaken the FDA and threaten the lives of those who make themselves experimental guinea pigs? Should the law have included medicinal marijuana? Has President Trump done a good thing here? Previous articleThe Great News About Eggs: Are They Finally Off The Hook? Hey Buddy!, I found this information for you: "“Right to Try” Law Includes Potentially Harmful Experimental Drugs But Not Medicinal Marijuana". Here is the website link: https://www.thealternativedaily.com/right-to-try-law-potentially-harmful-drugs-not-medicinal-marijuana/. Thank you.